According to a SCE's New Zealand Boss, the PS3 will be getting a digital tuner add-on and DVR functionality during the first quarter of next year, coinciding with the launch of Freeview (UK terrestrial broadcast) in New Zealand. 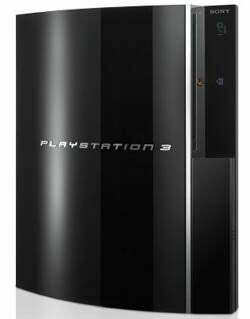 While not yet priced or shown to us in pretty pictures, when combined with PSHome's promise to share streaming media between users, such add-ons could make Sony's PS3 the most convenient and advanced media sharing system in history. Of course, we're looking past copyright issues and Sony's mediocre track record with software. But if Sony can get their PlayStation Network up to snuff—providing some of their entertainment properties for easy download—while allowing users to DVR and share, at minimum, their own media, the PS3 really will revolutionize living room home entertainment. And we aren't even talking about the PSP yet in this equation.